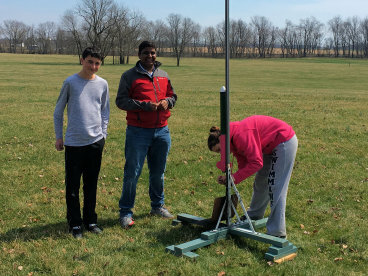 On Saturday, March 30, a few members from all teams traveled to the Walkersville launch site for qualification flights. The day was clear with light wind. 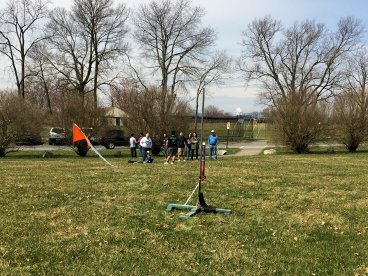 We used our launch rail at about 5% with the wind. We got off nine flights. Jonathan Rains and Daniel Roh were the NAR members who qualified the flights. Results were again mixed. 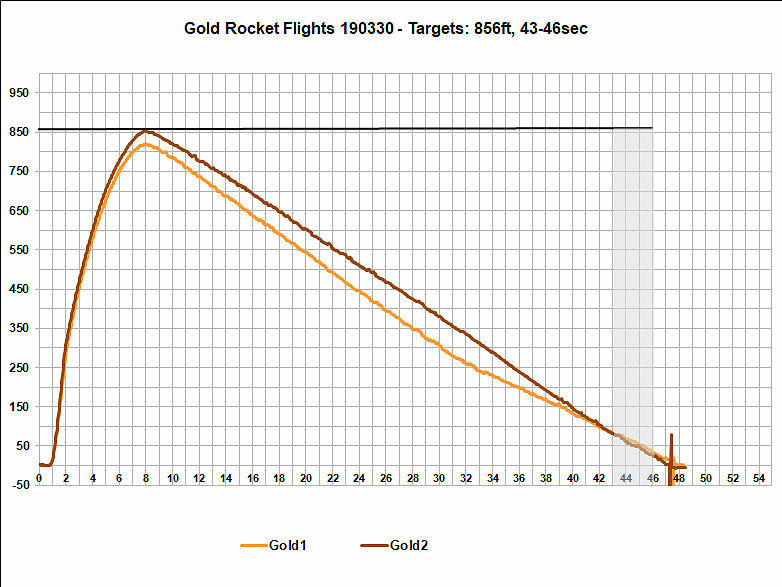 Team 5179 (Gold rocket) had a low first test flight, and reduced weight for the second flight (qualification #2). In that flight, their booster chute came off the booster and the flight was disqualified. 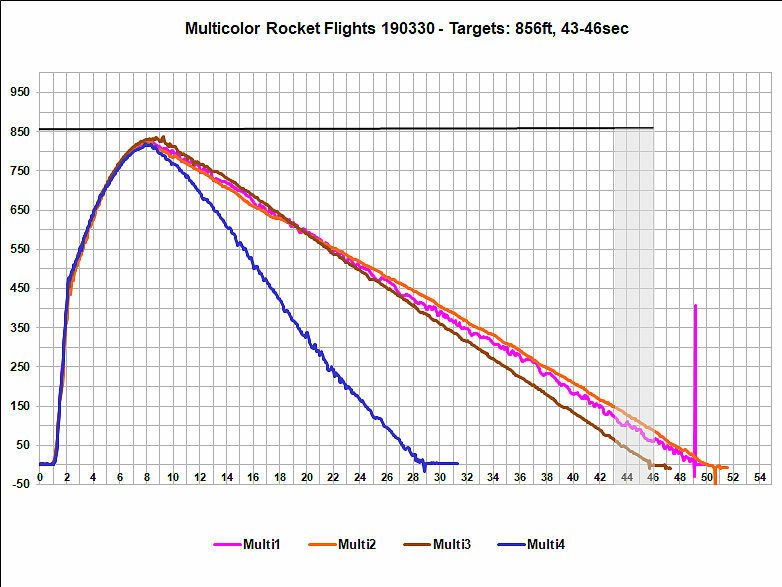 Team 5180 (Multicolor rocket) flew 4 times - two tests and two qualifications. The test flights were somewhat low, but the first qualification was fair with a score of 24. 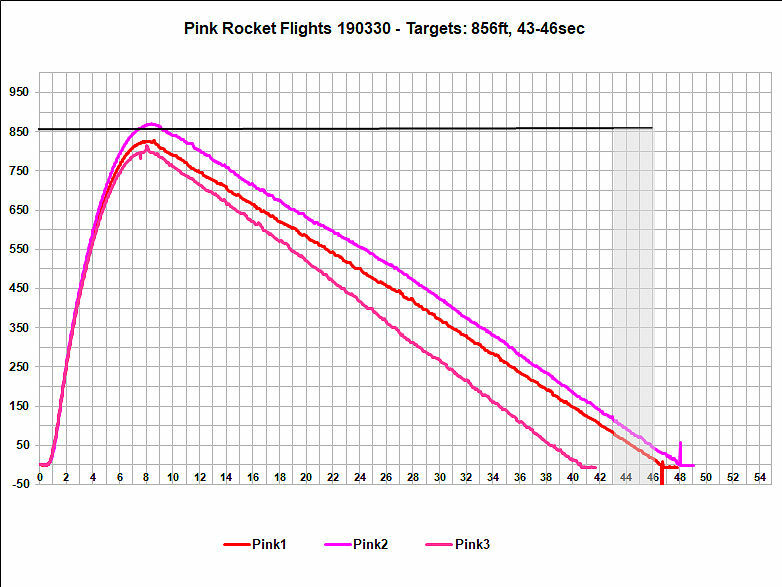 The second qualification flight was again low because it flew off at an angle. It also had a problems with the chutes fully deploying and the booster streamer never came out. It was a disqualification. 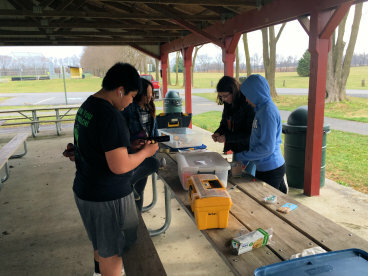 Team 5181 had the best day with no disqualifications. The first test flight was low. The second flight (the second qualification flight) was a little high, but got a score of 16. The third flight,(third qualification flight) was very low and got a score of 64. Each team will fly one test flight and then one or two qualification flights. Team 5180 switched out the booster chute for a small streamer. 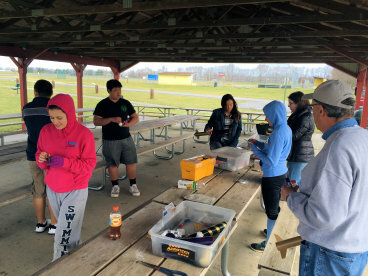 Plan one more qualification outings before April 7. Team 5181's streamer worked but Jonathan indicated other NAR members might say it still came in too fast. Team 5181 flights had a strange drag when the motor finished firing. We noticed this before, but it was very clear this time. Their Multicolor rocket had a loose fin, which may have been the cause. Team 5179 and 5181 are done with qualification flights..
We should have done more to separate the chutes..